One of the finest examples of the Art Deco Mansion in Australia; built in 1930-1933 for the Nicholas family. The design by Harry Norris sits uniquely at the midpoint beteewn the decorative zig zag moderne of the 1920s. The vast three storey house, built in reinforced concrete, is a rare, elaborate example of its type in Australia and comparable with works in Britain and the United States. Built for a wealthy industrialist, Burnham Beeches is a period exemplar of the up-to-the-minute high style living and entertaining of the 1930s in Australia. - for the historical and social significance of the owner Alfred Nicholas and his family, noted for their part in the 'Aspro empire'; the designer Hugh Linaker, best known for his bold landscape schemes for The Shrine and Domain in Melbourne; and the involvement of the local community in the construction and maintenance of the property. 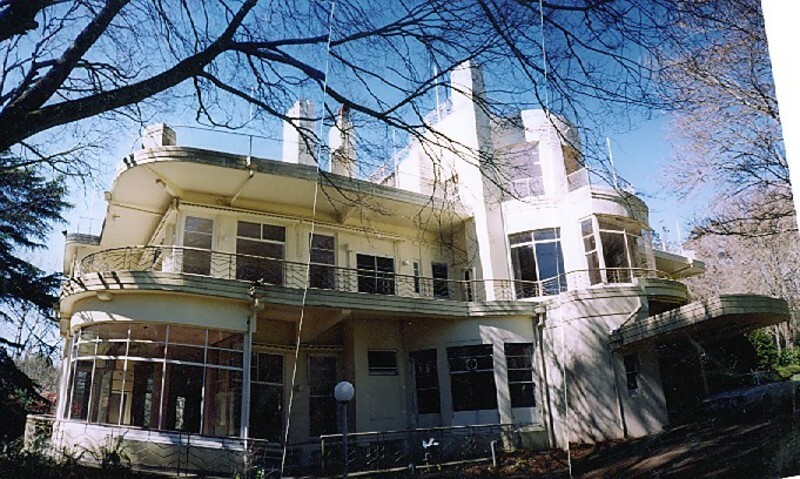 The residence is of National significance as one of the finest examples of the Art Deco mansion in Australia. The design by Harry Norris sits uniquely at the mid-point between the decorative zig zag moderne of the 1920s. The vast three-storey house, built in reinforced concrete, is a rare, elaborate example of its type in Australia and comparable with works in Britain and the United States. Built for a wealthy industrialist, Burnham Beeches is a period exemplar of the up-to-the-minute high style living and entertaining of the 1930s in Australia. File note 28/06/2012: G13027 amalgamated & filed with B4929.